Although we import swim-off times, we currently don't have a way to display them in SwimOffice. At some point we will add this ability but don't have a time frame. 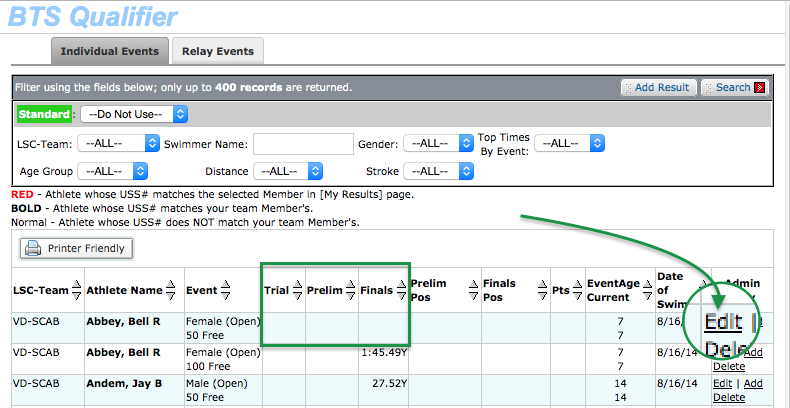 For now you can see swim-off times in Account/Member Admin, and they do get used for seed times in meet entries. In Meet Results a swim-off time will show as a blank row. If you like, click Edit and enter the swim-off time as a Time Trial, Preliminary Time, or Final Time and click Submit. You will then be able to see the time in the results and in Top Times reports.